COLONIE — The boys soccer team beat Averill Park 3-2 in overtime on Wednesday, Sept. 12. Averill Park got on the board first with a goal by Thomas Hacker on an assist by Logan Bielawski. The Raiders then tied it up on a penalty kick by Nick DePaulo. Bielawski went low and found the back of the net on a penalty kick with 8:30 left in the game to give AP a 2-1 lead in what was becoming a progressively more physical game. 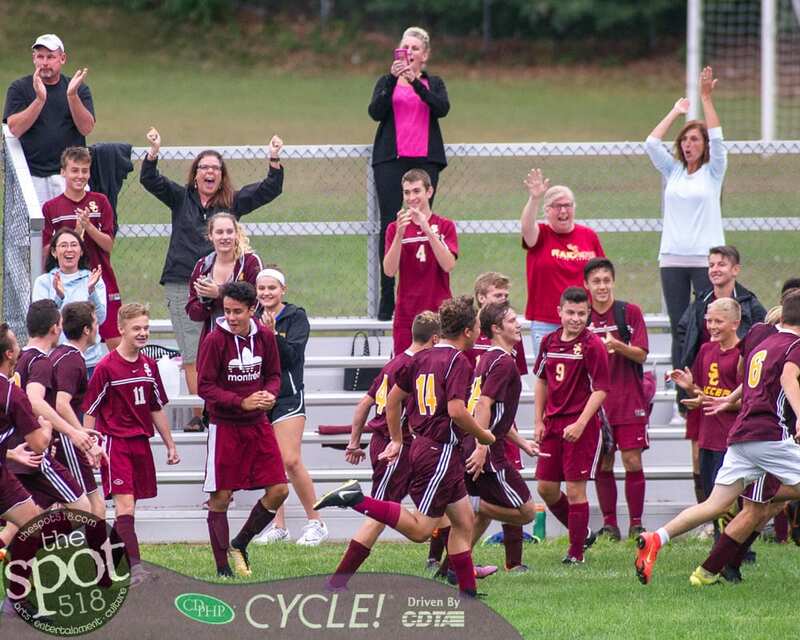 Thirty seconds later, Colonie tied it up on a shot from near mid-field by Mantas Remancus to send it into overtime. With just under two minutes left in the first 10-minute, sudden death OT, Remancus scored his second of the game for the win. Click on a photo below view a slideshow of the rest.